Old Man Winter does not take pity on your house. It is that simple. Whether you covered your outdoor A/C unit or you cleared the leaves from the gutters, winter can put stress on your house. Oftentimes, homeowners want to bundle up with hot chocolate and a Christmas movie, but it is important to remember that there are certain home maintenance tasks to attend to. Now, do not be fooled — because your neighbor is shoveling snow off their roof, it does not mean you should, too. Snow can act as an excellent insulator for your home during the winter. Besides, we’re located in Nashville. This isn’t Bemidji, Minnesota. We rarely get snow that accumulates over a foot. One of the best things you can do to ensure your roof is ready for winter is to call the top-rated Nashville roofing contractors at Tim Leeper Roofing. We can repair any roof and make sure your home is ready for winter. 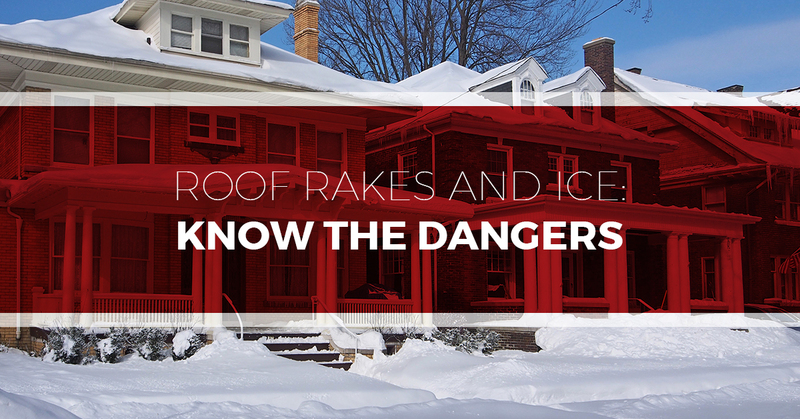 There are two big concerns caused by snow accumulation on roofs: roof collapses and ice dams. Again, we aren’t getting massive accumulations of snowfall here in Nashville. Your weight from climbing up on the roof would cause a collapse before any amount of snow accumulation would. Unless you have a flat roof, do not attempt to remove ice — nature will take its course. As for ice dams, just be sure the insulation in your attic is up to par. Also, if you take care to not run heat into your attic, you should prevent water damage or leakage due to water ponding from an ice dam. Snow can be an excellent insulator for your house, and unless you have a flat roof, you should not go scraping snow off your roof. Too often, using a shovel will scrape the aggregates off of your shingles, leaving them more vulnerable to damage. Over time, aggregate erosion on the top layer of shingles will expose the black asphalt layer to UV degradation, and eventually lead to a leaking roof. As you think about all of this while watching your neighbor senselessly damage their roof and risk their safety by shoveling snow off of it, another neighbor pulls out a fancy contraption that lets them scrape snow and ice off their roof while they stand safely on ground level. This gizmo is a roof rake. You aren’t sure about the roof rake. On paper, the roof rake is a great idea. It scrapes excess snow off your roof while removing the dangers of being on the roof. However, in the hands of an inexperienced operator, the roof can sustain some serious damage from the constant scraping. Like we pointed out earlier, removing all of the snow and ice off the roof will often require rigorous scrapping or hacking away at a layer of ice. This will cause more damage than good, as the roof will begin leaking as the snow thaws. When Old Man Winter comes knocking, best practice dictates to inspect your roof and prevent snow accumulation anxiety. As long as you know your roof is in good health and free of debris, it will be able to withstand snowfall for a prolonged winter. If you want to simply enjoy hot chocolate and holiday festivities without worrying about roof collapse or leaking, schedule an appointment or inspection with Tennessee’s most-celebrated roofing company, Tim Leeper Roofing. Whether there is a leak to repair, shingles to replace, or just a simple inspection, Tim Leeper Roofing will prepare your roof for winter and all year long. Call today to get a speedy, fast quote on your roof repairs.